Oh, I do like to be beside the riverside. And if I can be sitting by the river, enjoying some delicious food, then even better. 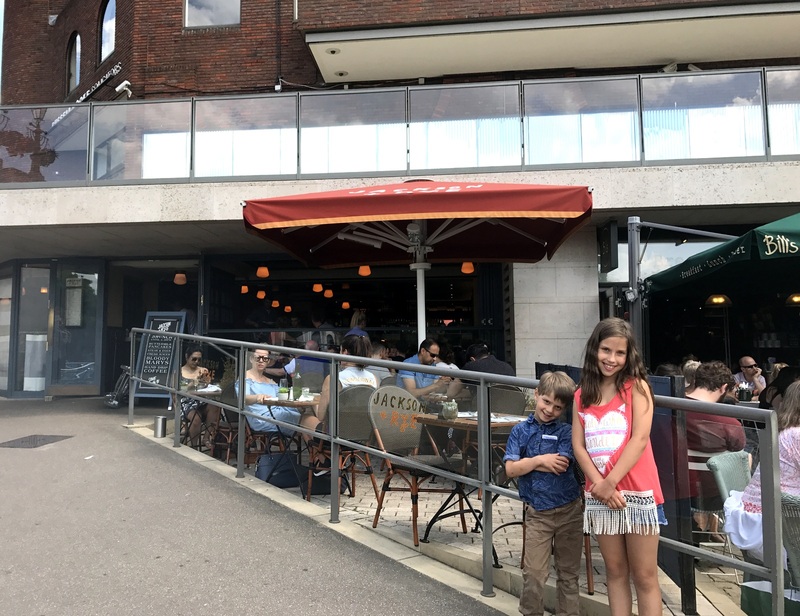 My new favourite riverside restaurant in Kingston-upon-Thames is Jackson & Rye. And I don’t just like the location. The food is pretty damn tasty too. As an American expat, I am always keen to try a restaurant that claims to serve American fare. But normally I’m left with overpriced burgers or non-fluffy pancakes. You can’t imagine how a disappointing pancake can ruin my day. That is obviously a personality flaw. But rather than seek counselling, I’ve decided to just focus on finding better restaurants. Jackson & Rye definitely fits the bill. When I think of a family meal, I think of lots of yummy food in the middle of the table and everyone helping themselves. But normally, when you go to a restaurant, everyone gets their own meal. Though sometimes I end up sharing my dessert (against my will, of course). But Prezzo have brought the family-style spirit from our homes to their restaurants with the new La Famiglia menu. Simply, ‘la famiglia’ is Italian for ‘family’. The name says it all. It is a meal fit for a family. 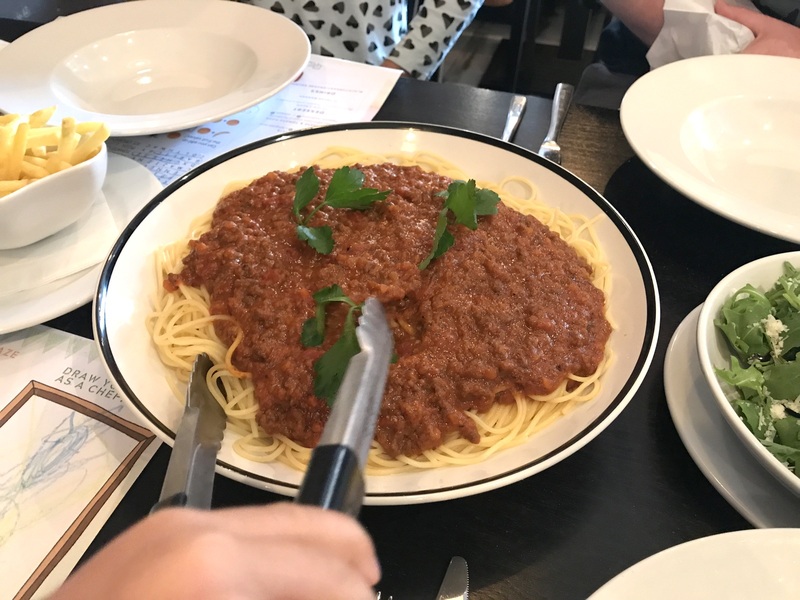 When our generous plate of spaghetti bolognese arrived, the kids oohed. They were so excited by such a big dish. And when the waiter handed Dubz the tongs to serve the pasta, he was thrilled. Imagine being five years old and being in charge of the food. With some help from his daddy, Dubz served us our spaghetti. My family and I love eating out. And the only thing better than going to a restaurant is going to a new restaurant. So we were quite excited to visit Poor Boys this weekend. Tucked along the side of the market, Poor Boys serves New Orleans street food to the people of Kingston-upon-Thames. 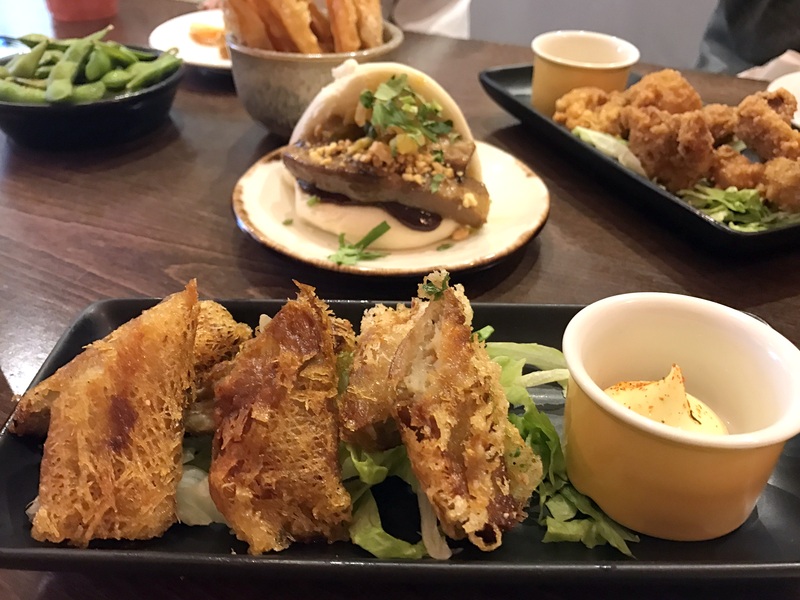 Kingston is already known for its extensive array of dining (and shopping) venues, but I was thrilled to find out that there was a great new independent restaurant in my town. Our first impression of Poor Boys was fab. There was a southern/bayou decor with Dixieland and country music playing. Dubz particularly enjoyed Dolly Parton and spent most of the meal dancing in his chair (like mother, like son). Rather than traditional colouring, the kids received mini backboards and chalk to keep themselves entertained. Moozles and Dubz spent ages drawing animals and then we moved on to the classic game of ‘hangman’. It’s such a relief when children are catered for, beyond food. 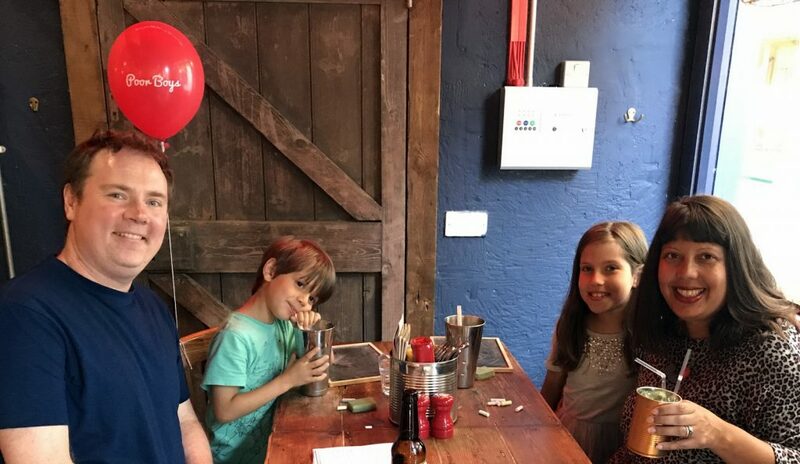 Last year, my daughter had a Pizza Express party for her 8th birthday. She had a great time. 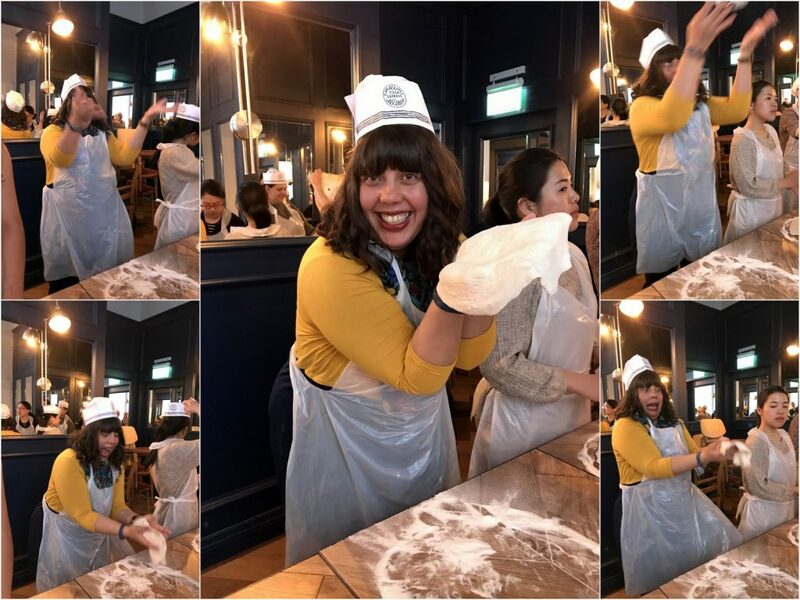 But when I heard that Pizza Express offered pizza-making parties for adults, I didn’t think it would actually be that fun. 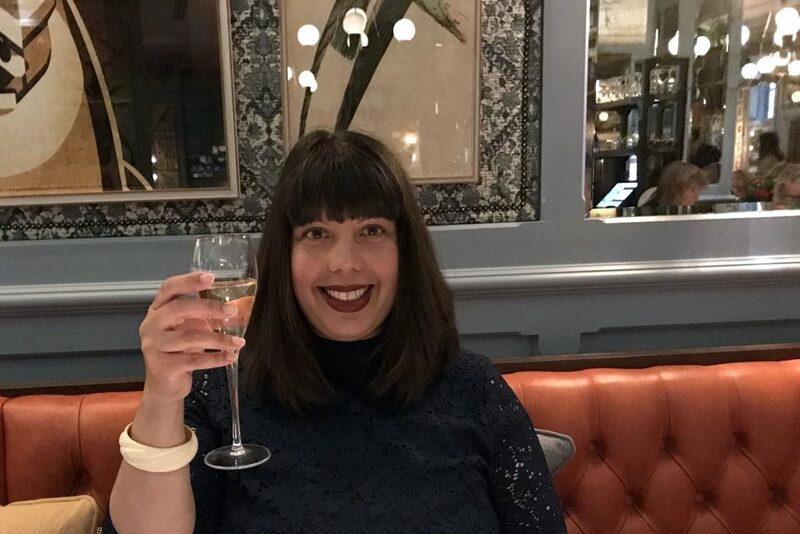 Fast forward to last week when I was invited to a pizza party for bloggers at the new Pizza Express at Gloucester Road. And as you can see from my face above, I was having a pretty good time. The evening started off with Prosecco and olives, which of course set the tone for a lovely evening. I was a little nervous as I didn’t really know anyone, though had met a few of the bloggers once or twice. But all the shyness went away with the Prosecco and we soon got stuck into some dough. Talk about an ice-breaker. After shaping an tossing some dough, we were all feeling relaxed. And giggly. This was mostly due to Alex (the branch manager) and Gianmaria, who made sure we were learning in an entertaining way. We had a tough year when Dubz was two. We had to refrain from going out to eat for fear of tantrums. And then when he was three, he only ate toast for about three months. Tough times indeed. But things improved drastically when he turned four last year and then began school in the autumn. And now, we eat out at least once at the weekend. And we love trying out new restaurants. 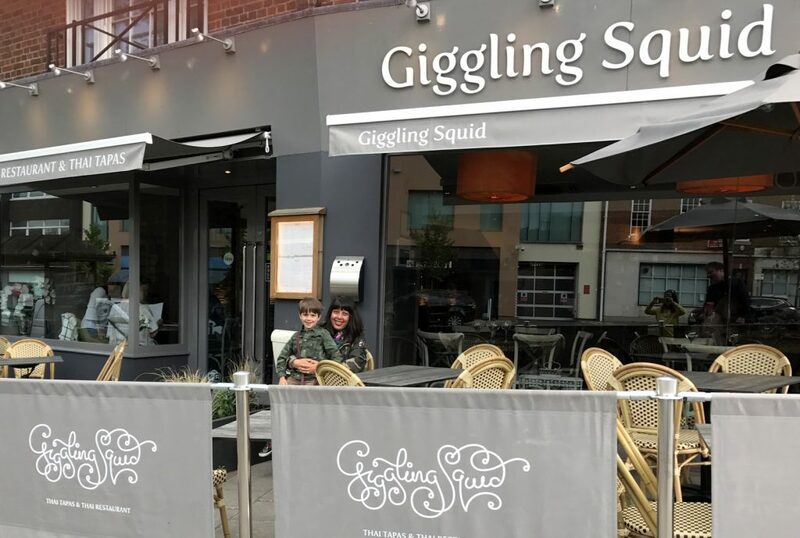 A couple of weeks ago, we visited the Giggling Squid in Esher to try out their new menu for kids. Moozles and Dubz had never tried Thai food before. I was a bit nervous whether Dubz would enjoy it – after all, there would be no chips on standby. But we had recently tried a Taiwanese restaurant with good results, so I hoped for the best. A 13-year wedding anniversary isn’t that exciting. But then again, shouldn’t every year of marital happiness be celebrated excitedly?! Our anniversary is actually tomorrow, but as it’s a Sunday on a bank holiday weekend, we thought we’d celebrate it mid-week (for babysitting purposes). So on Wednesday we went to Richmond-upon-Thames to have dinner at the newly-opened Ivy Cafe. Many people will have heard of The Ivy. They are known for their great food, but also as a hotspot for celebrities. They have recently started opening some smaller cafes in greater London so that us suburbanites can have a taste of the high life. But don’t let the term ‘cafe’ fool you, this is a properly cool and elegant restaurant. The children are at their grandparents’ house, which means that Husband and I are free to enjoy London as we want to. We have been sleeping in, taking long walks and enjoying meals out without packing colouring books. Yesterday, we had the most delicious lunch, and I had to tell you about it. We went to Chi Kitchen, and I have to share all the delectable dishes we ate. First of all, Chi Kitchen is a pan-Asian restaurant. This means that it serves a few different cuisines – Japanese, Malaysian, Korean and Chinese. To me, this is Heaven. It means I can eat loads of different things that I love. I started off with the spider soft-shell crab sushi roll. It arrived on a steaming plate, which was very theatrical. Then Husband and I had dim sum. I had prawn and he had the beef Wagyu. These items are perfect for sharing, but sadly my husband does not like fish or seafood (crazy, I know). On Sunday, I got the best gift any mother could wish for on Mother’s Day – a day of no tantrums. It was delightful. It was actually more than delightful. It was a miracle. 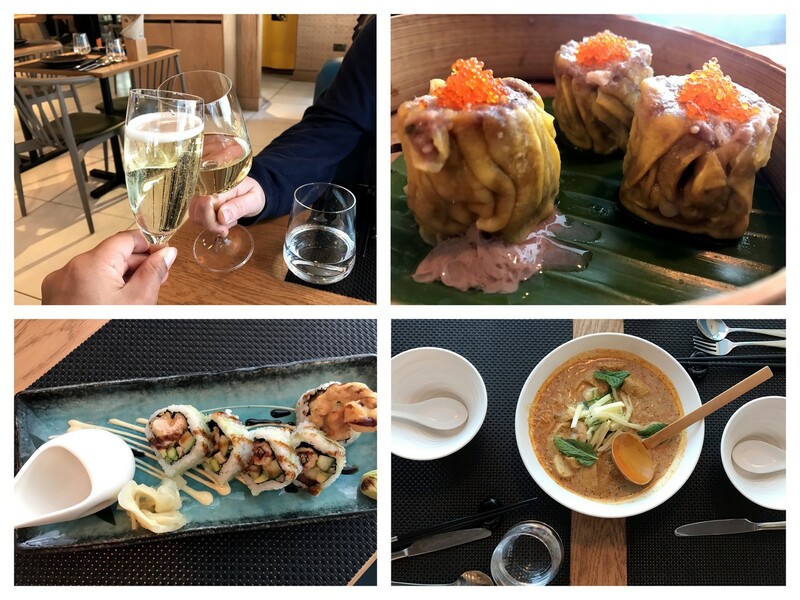 To make the day even better, we went out for a delicious lunch at Bao Bao London. I feel like we’re constantly going out for pizza or burgers, so I was excited to be trying out Taiwanese cuisine. Taiwan is known for their street food, and Bao Bao delivers fresh, tasty food in a cool environment (imagine a gorgeous floral wall made for Instagram). Husband and I were initially excited to try Bubble Tea. We watch My Crazy Ex-Girlfriend on Netflix and they are always drinking bubble tea. There are loads of flavours – so it was a bit overwhelming. Luckily the waitress was understanding and quite helpful. I was pleased with my choice – the passion fruit tea, with aloe vera bubbles, green tea, some ice and a little sweetness. Husband ordered a green tea as he couldn’t handle all the choices. Haha. Yes, I have been on another cooking day. Word is obviously out that my cooking skills need an update. 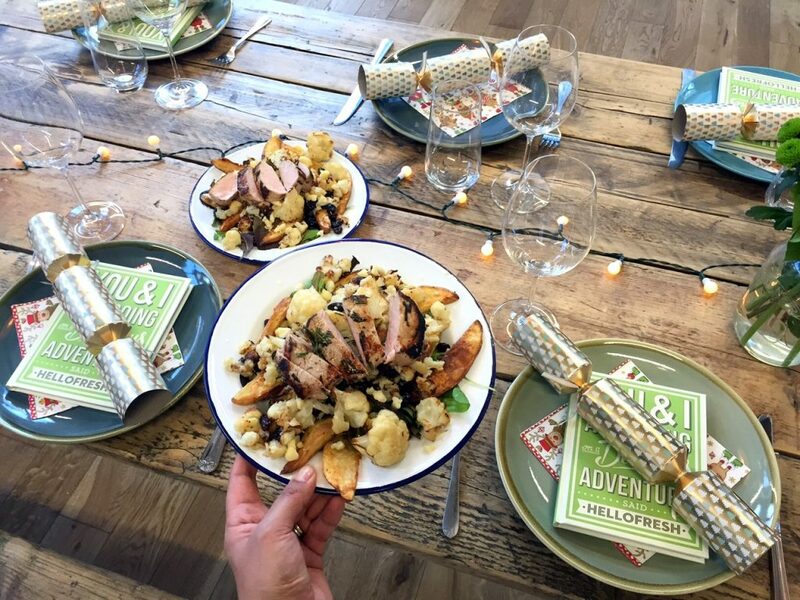 Last week I attended an event at the HelloFresh HQ in East London, along with some other food and lifestyle bloggers/writers. We had an afternoon of cooking and eating. The latter of which happens to be something I excel in. HelloFresh made the cooking quite easy as their recipe cards are very detailed in explaining the steps to cooking each dish. If you’re not familiar with HelloFresh, they are a recipe box delivery service that offer healthy recipes made from fresh ingredients. Patrick Drake, the Head Chef and co-founder of HelloFresh, was at the event explaining how the business began in his home, in his kitchen. Now they have their own building, and an amazing kitchen where they can come up with new recipes. I am not the best cook. I make about 10 meals which I rotate over a couple of weeks (luckily Husband cooks on the weekends). I can probably cook about 20 things, but a few of them are special occasion dishes that don’t get made often. 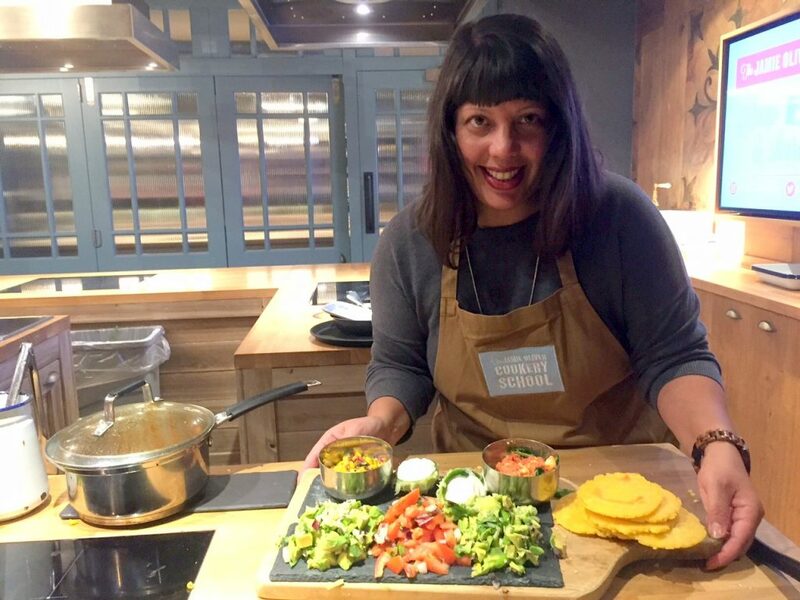 I’ve been wanting to add to my repertoire for ages, so last week I dragged one of my friends along to a Mexican street food cooking class at The Jamie Oliver Cookery School in London. I love Mexican food, but other than cheese quesadillas, I would never dream of trying to make any. So it was a treat to have a professional chef, the lovely Gaby, show me how to cook. I say me, but there were eight of us in the class. We cooked in groups of two, which meant that we were able to take turns with chopping, etc. I chopped my first onion, which was very exciting (it’s the kind of thing that I normally make Husband do). We made a chipotle chicken, various salsas and guacamole. And if that wasn’t enough, we also made our own corn tortillas.